It’s exciting to explore Cornwall in a completely different way and experience it’s distinct maritime culture by spending some time on a sailboat while you’re here. Experience life as part of the guest crew and explore the Cornish coast with experienced guides. You could even lucky spot dolphins, pilot whales or other marine life playing around in the Atlantic Ocean. Cornwall has got some of the country’s most gorgeous golf courses, so don’t miss the chance to hit the green and enjoy the outdoors while hitting a few balls. Real golfing enthusiasts may enjoy a holiday at the Trevose Golf & Country Club, which can accommodate 120 guests in its bungalows and chalets. For more casual golfers, take a day trip out to one of the many courses in the area. 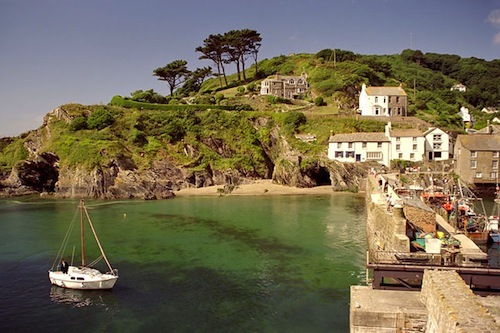 Cornwall is full of quaint fishing villages where you can peace out and forget about the world. Check out St. Mawes, a village on the Roseland peninsula which has plenty of cute cafes and places to seek out amazing views of the sea. Try the Watch House for reasonably priced, gourmet dishes like seared scallops and Cornish rib eye steak. In this village you can also visit St. Mawes castle and some secluded beaches in Roseland. Camping is the way to save money on hotels and really experience the outdoor life. Cornwall has got some beautiful campsites with amazing hiking and spectacular scenery. You’ll really feel like you’ve gotten away from it all at the Cornwall Family Campsites. The campsites are family-friendly, with heated toilets and showers, family wet rooms, dishwashing areas and phone charging stations. Or if you prefer a camping experience more out in the wilderness, you can find that here as well. The biggest exotic animal sanctuary in Cornwall is Porfell Wildlife Park, just a few miles from Looe in southeast Cornwall. Here, more than 250 animals from all over the world live and roam where you can view them in their natural habitat. You and your family can get up close with these animals and even touch them, yet it is completely different from a zoo. It’s a fantastic place to experience these animals as they live freely and naturally.